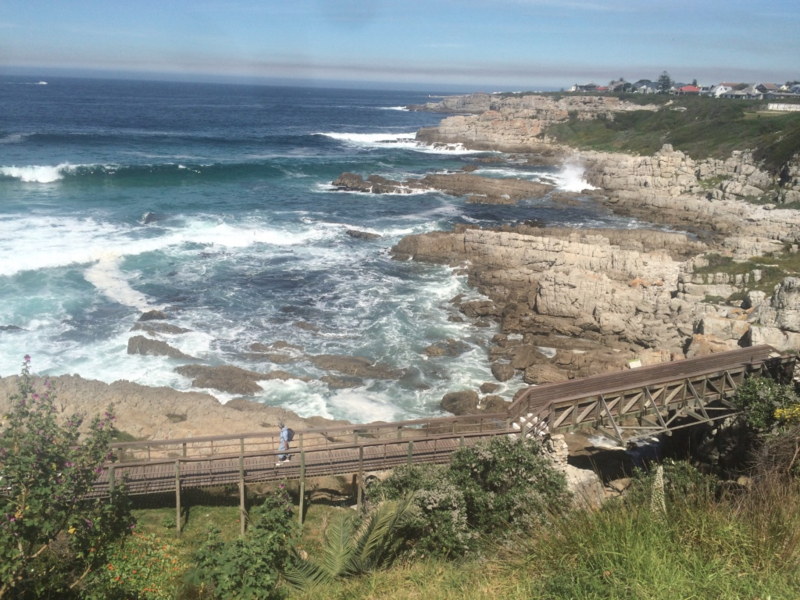 After Tsitsikamma National Park, we drove along the Garden Route to Hermanus. Along the way, we stopped at Monkeyland, a free-roaming, multi-species, primate sanctuary. 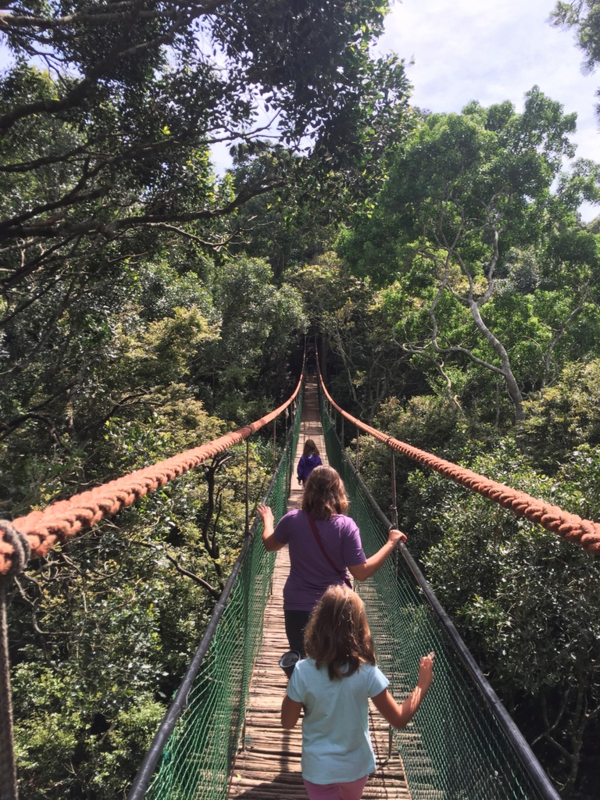 As promised, the girls saw a variety of monkeys on the tour, and walked across a 128-metre suspended canopy walk. It was a good pit-stop. 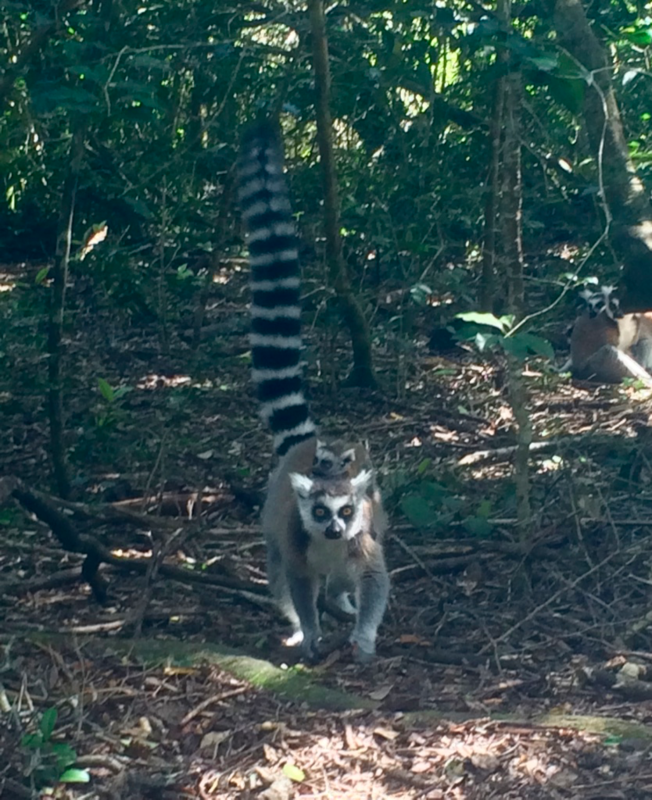 A ringtail lemur. Can you spot its baby? 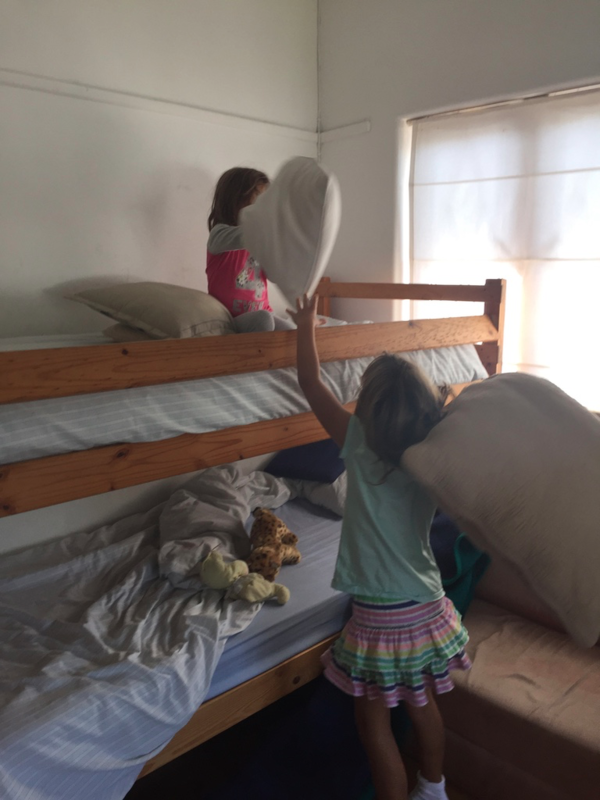 We arrived at our Airbnb house in Hermanus, and the girls immediately got some energy out with a good, old fashioned pillow fight! Once we settled in, we went on the self-guided biodiversity walk along the coastline boardwalk. The scenery was spectacular! There was art and a playground along the way. The girls also enjoyed looking for seashells down by the shore. 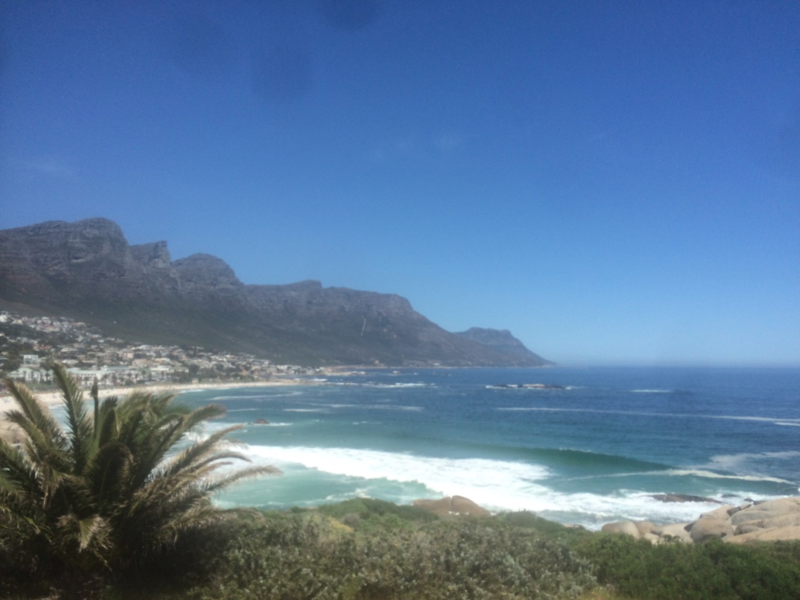 We stopped to watch for whales from the shoreline, as Hermanus is famous for it’s land-based whale watching. We weren’t disappointed either! I saw some whales, but didn’t get a good picture of them. I recommend bringing binoculars, as we didn’t but should have. The next morning, we went back to the coastline to see if we could spot some more whales before heading off on our drive to Cape Town. I thought we were here to see whales, not monkeys! 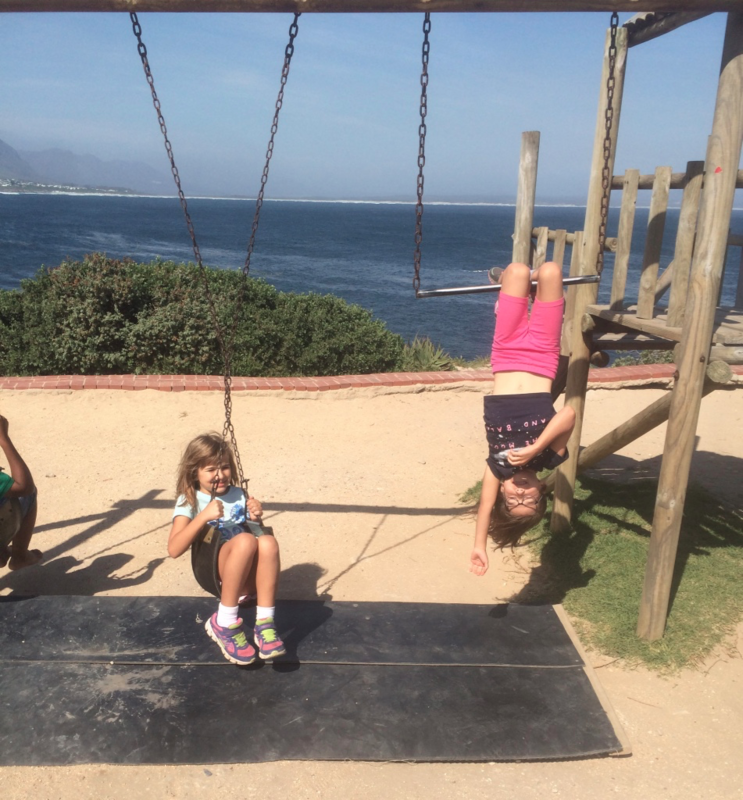 We stayed near Green Point Park in Cape Town, which I highly recommend if you have kids. 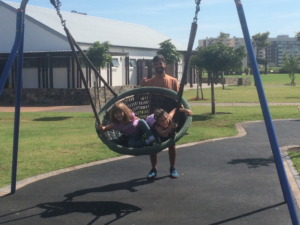 The Green Point Park is large and has lots of playground equipment for the kids to play on. That’s the first thing the girls wanted to do the next morning when we got up and going. 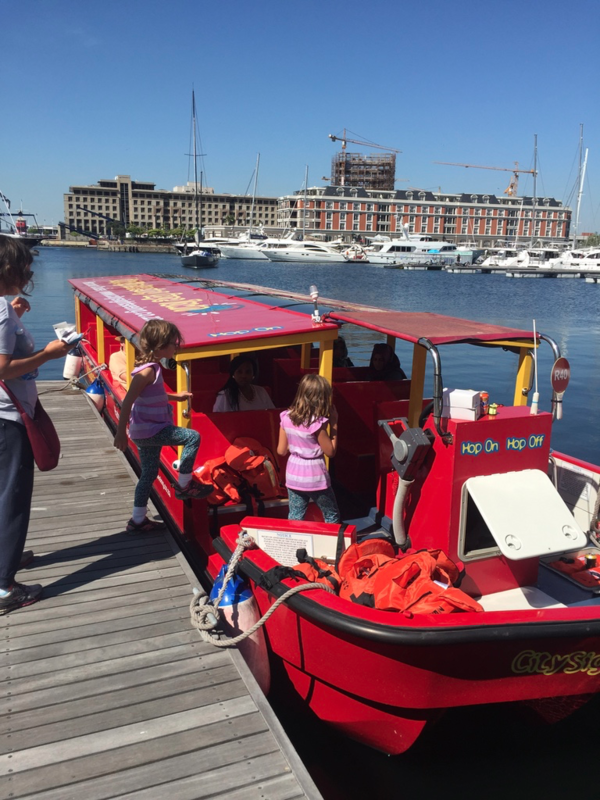 After they got their wiggles out, we took the City Sightseeing Hop On Hop Off Cape Town Red City Tour bus, getting off only to stop at another playground, this time the Rotary Blue Train Park. We also went on the Waterfront Harbour Cruise and the Cape Town Sunset Bus, enjoying a picnic on Signal Hill at sunset. The next morning, we again made a stop at Green Point Park before taking the Hop On Hop Off Yellow Downtown Tour. After that, instead of exploring the city more, we drove out to Cape Point. In retrospect, I would have planned more time in Cape Town, as there is a ton of activities to do here with kids. 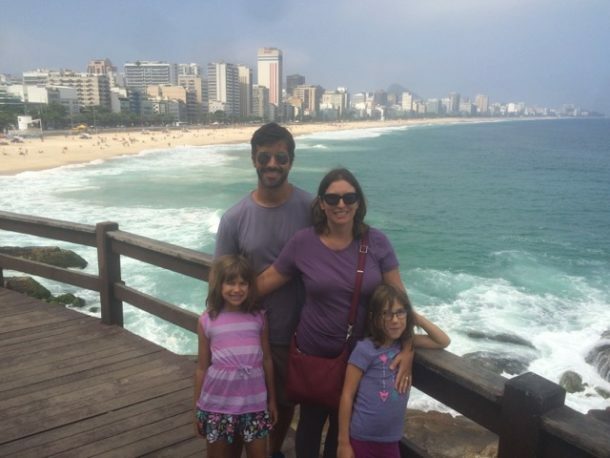 We just got a broad overview of the city, but didn’t have time to explore it’s many museums, shops or its Two Oceans Aquarium. 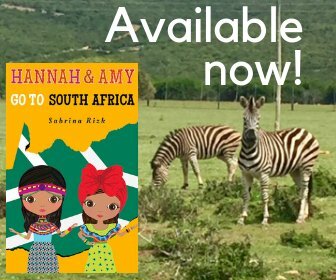 As I kept telling my girls, we entered another world when we drove through Cape Point Nature Preserve within Table Mountain National Park. They didn’t believe me, but to me it did feel ‘other worldly’. The landscape was so different from anything we had seen up until that point. 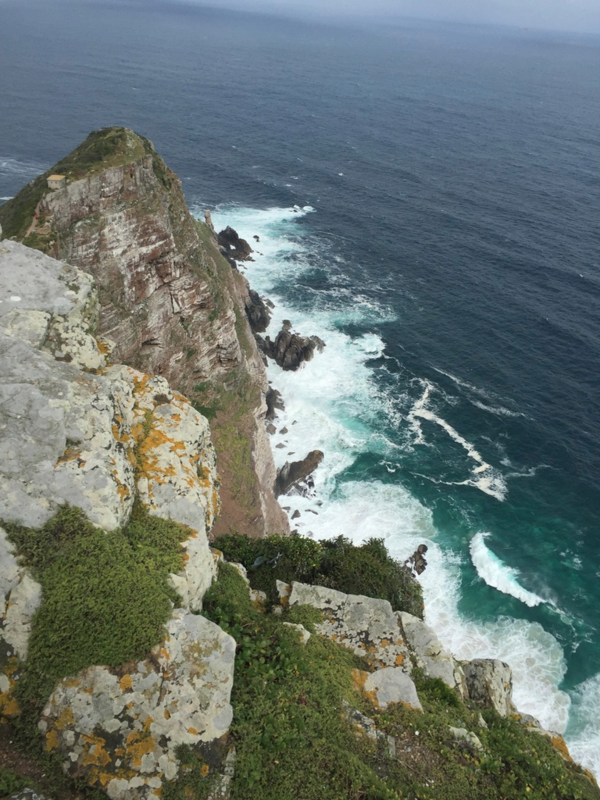 The views from the Cape of Good Hope’s Old Lighthouse were spectacular. 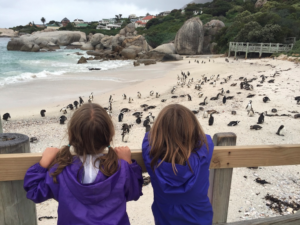 On the drive back to Cape Town, we stopped at Boulders Penguin Colony. This is the home of the African penguin. It was really cool seeing and hearing (and smelling!) the penguins up close. 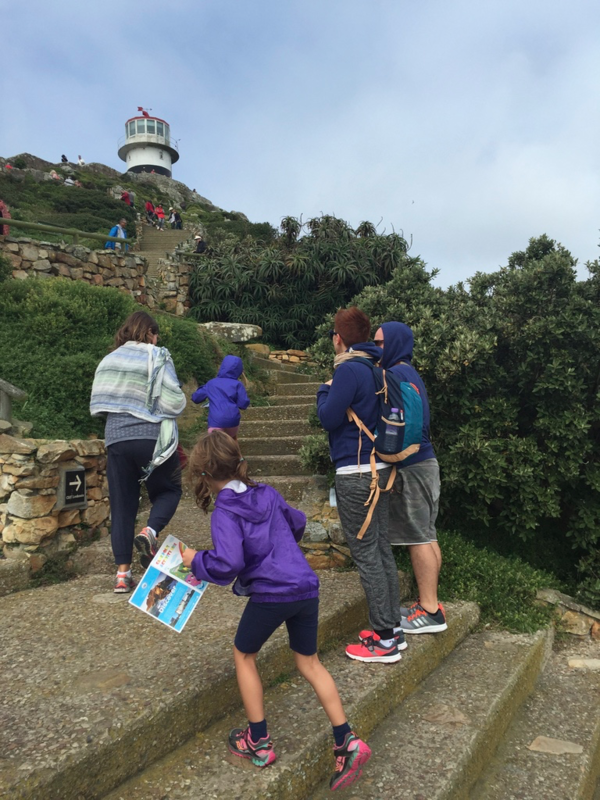 Although we missed out on seeing more of the city of Cape Town, I’m glad that we made the drive to Cape Point and that we saw the African penguins in their natural habitat. We are the Nature Adventurers after all, so we had to get out in nature! Tomorrow we take the overnight train back to Johannesburg. We’ll spend a night there before catching our morning plane to Kenya. 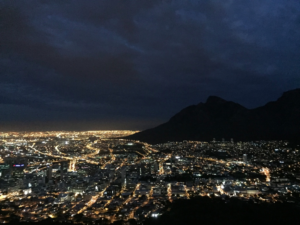 Our time in South Africa was short, and we lost a few days to travel, but I’m glad we came nonetheless. 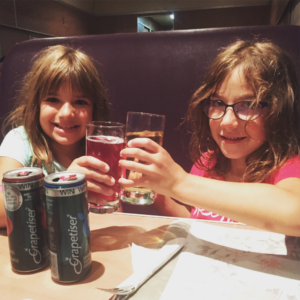 Cheers to a good time in South Africa! Keep an eye out for the next post from Kenya.